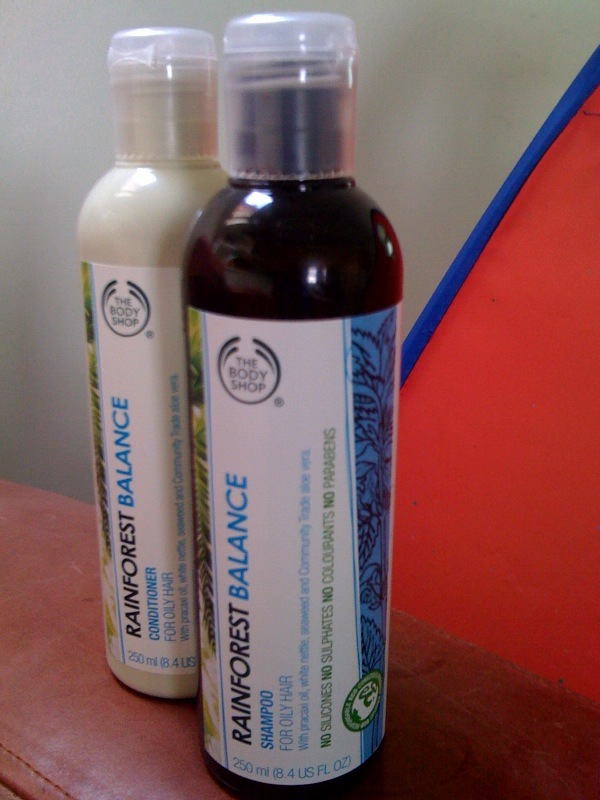 As promised, here is my verdict on the new range of shampoos and conditioners from The Body Shop. On paper this ticks all the right boxes: it’s silicone free, sulphate free, biodegradeable and also kind to marine life. All pretty impressive, even by The Body Shop’s standards. So, if nothing else, you can feel smug about the fact that you are using something that is doing no harm to yourself, or to the world around you. It’s probably also the reason that I have never made a proper shift to these products for my own hair at any rate. In fact, I have to say that that’s been my main bugbear with the new Liz Earle hair care range, which I have also road-tested recently. Another complaint I’ve had in the past has been the lack of lather with sulphate free shampoos. Again, this is a completely superficial complaint I know, as it’s actually the sulphates which create the lather, but to me the whole hair cleaning experience involves a good old lather! So, how does the new Body Shop range stand up to my ‘rigorous’ standards? I used the range designed for ‘Oily Hair’. This probably the category that I fall into most accurately, with relatively straight (with a slight kink) Asian hair. I used the shampoo twice (based on past experience again with this sort of product). If I had to compare the two, I would have to say that the shampoo was definitely nicer to use than the conditioner. It felt different to a normal conditioner, althought this is most probably because it contains no silicones. My issue, and it is relatively minor, would be that, weirdly, it had absolutely no fragrance to it. Surely part of the whole experience?? The shampoo contains the following ingredients: procaxi oil, seaweed and Community Trade aloe vera, and has a lovely clean seaweedy smell to it. The conditionercontains the same ingredients, with the addition of white nettle, so I can’t really explain this lack of fragrance. My complaints about a lack of fragrance aside, the conditioner seems to have done a decent job at detangling and smoothing, and whatever else it is conditioners are supposed to do. All in all, I would have to say that I was pleasantly surprised by my rather inexpensive purchases (see below), especially as I had practically zero expectations of them. The Body Shop are currently offering a ‘buy one get one half price’ offer on this range. One bottle retails for £4, which means you can currently buy both for £6!! I’ll report back once I’ve used the shampoo for a longer period of time, but let me know what you think of it!